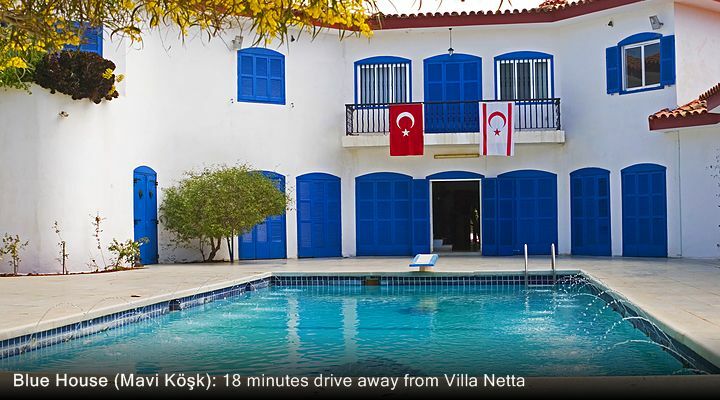 Villa Netta is self-catering type of accommodation located in the quiet village of Karsiyaka, only 15 minutes away from Kyrenia centre. 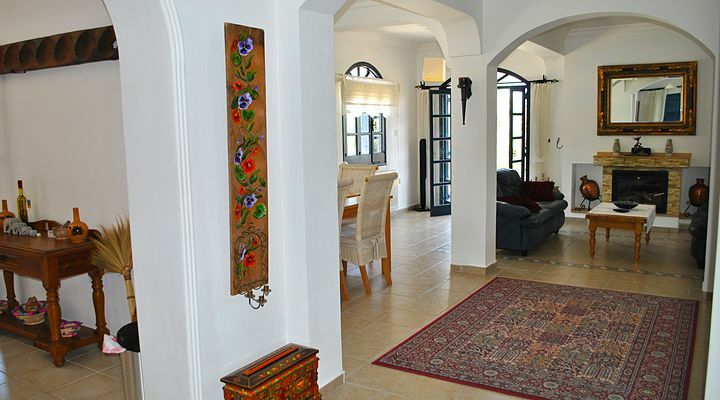 Being perfect option for those seeking for more privacy during their North Cyprus holiday, these great rental villa with four bedrooms will welcome parties up to 8 people. 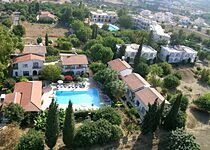 You can at the same time enjoy all the services offered in the residence of this villa site and enjoy tranquillity and privacy in your own villa. 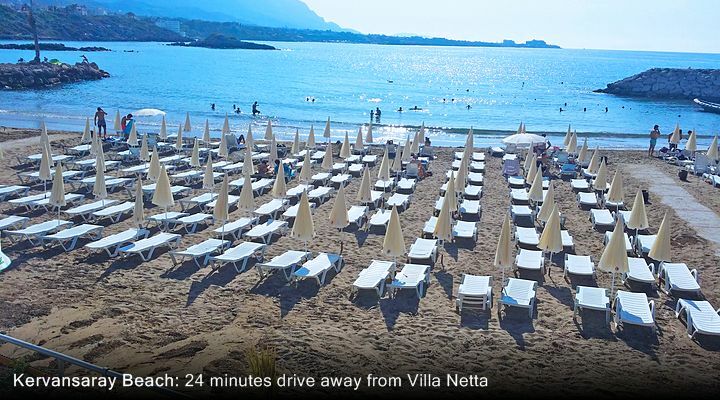 Beaches, restaurants & supermarket can be reached within a few minutes drive. 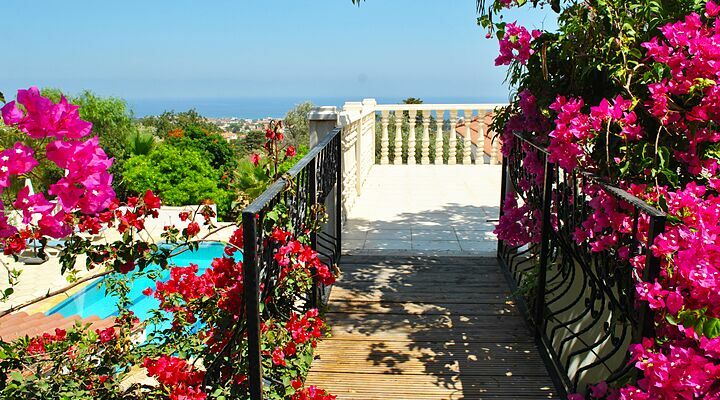 Villa Netta has everything you may need for your great North Cyprus experience. 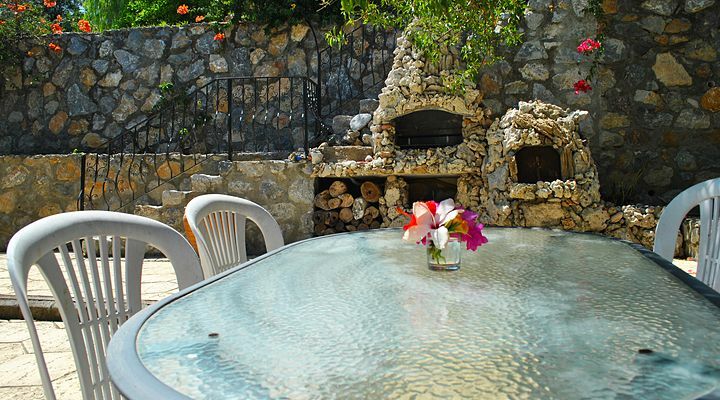 It has A/C throughout to make sure you feel comfortable during warm summer days and warm up during those in winter. 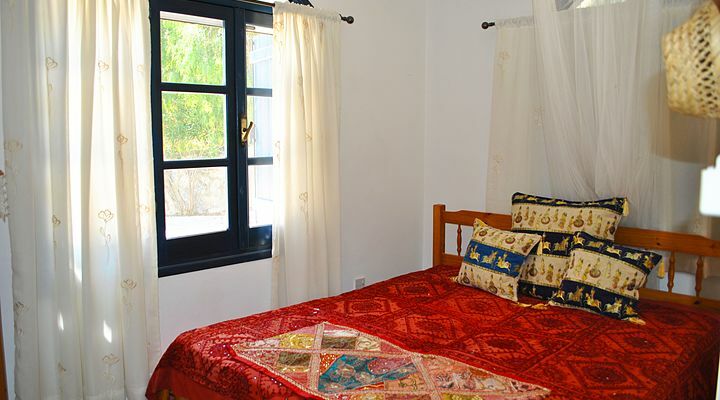 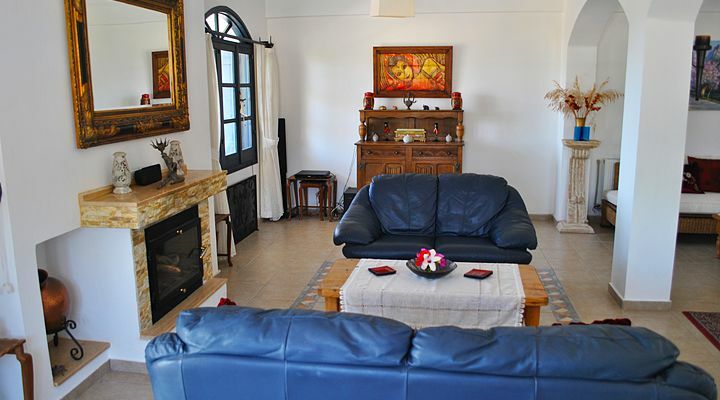 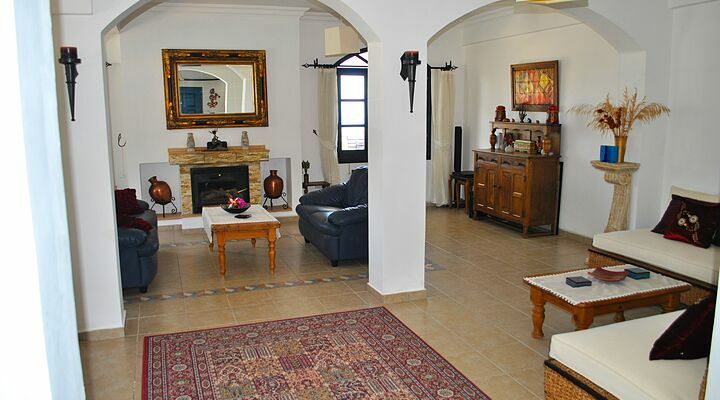 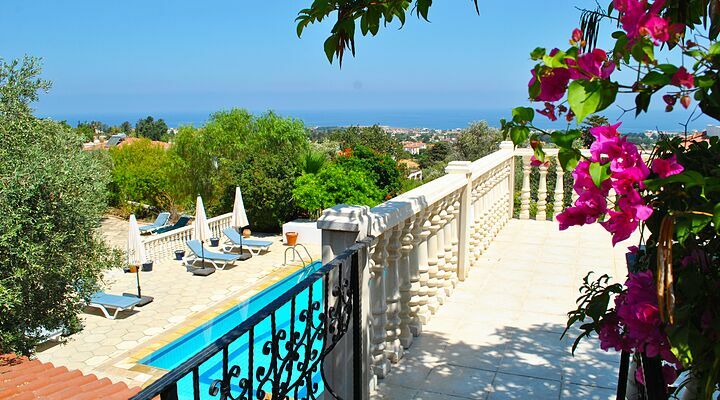 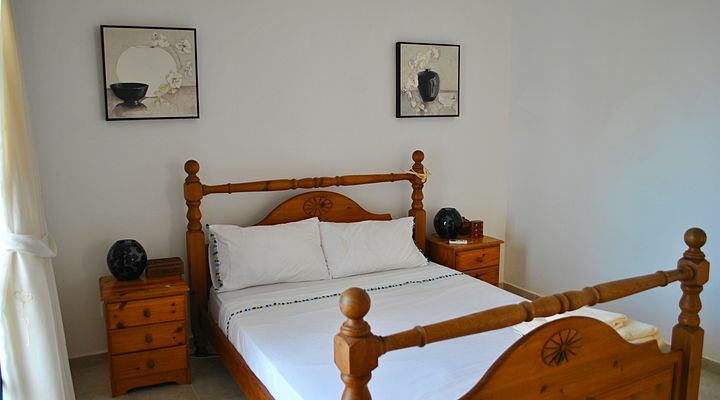 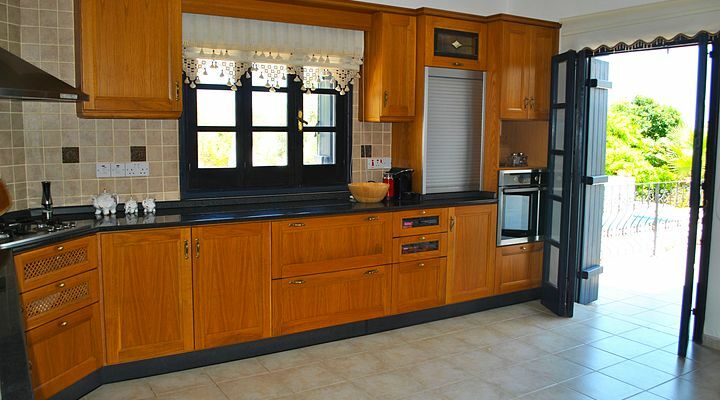 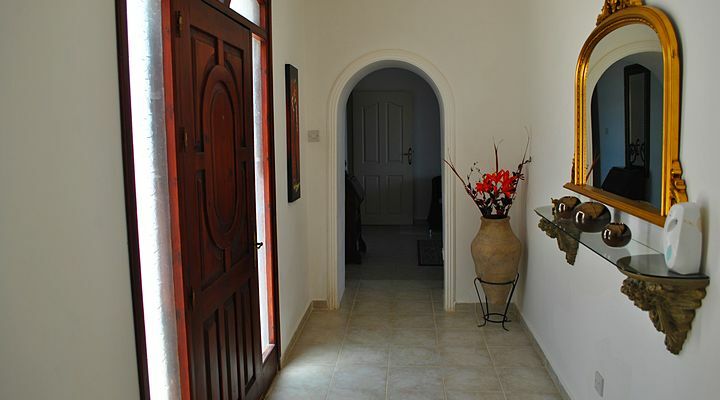 This private North Cyprus villa is beautifully furnished and is equipped to a good standard. 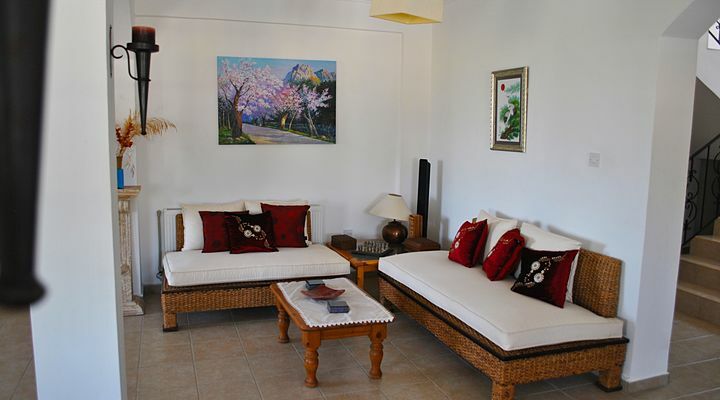 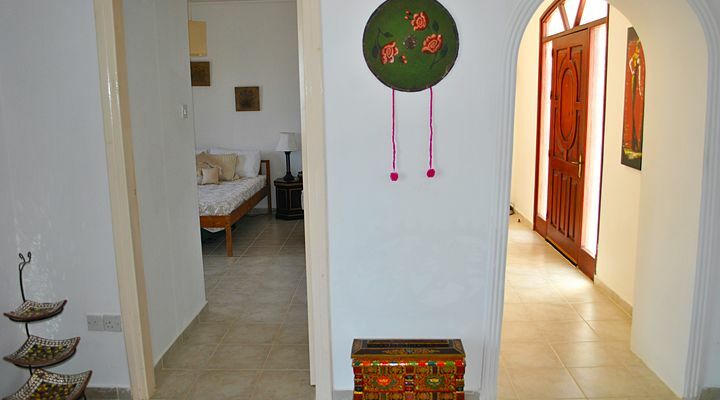 You can use all the facilities of your own holiday rental villa just as like if you are at home. 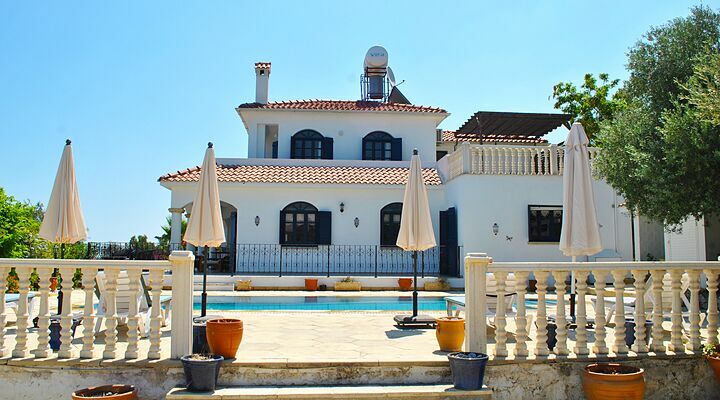 This private villa with a private 8m x 4m swimming pool and landscaped gardens features four bedrooms so can accommodate a party of up to eight people. 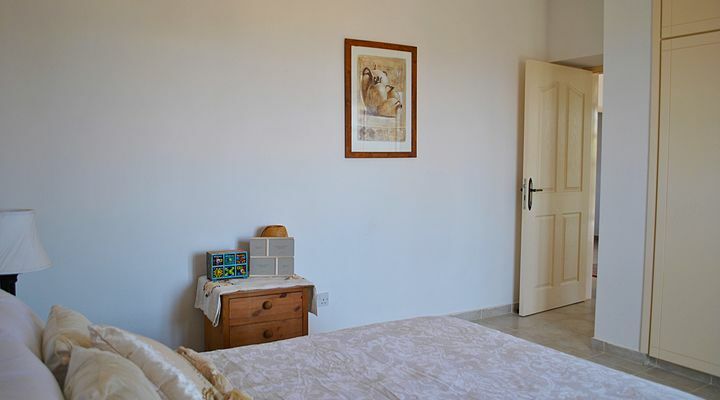 There are three double bedrooms and one twin bedroom. 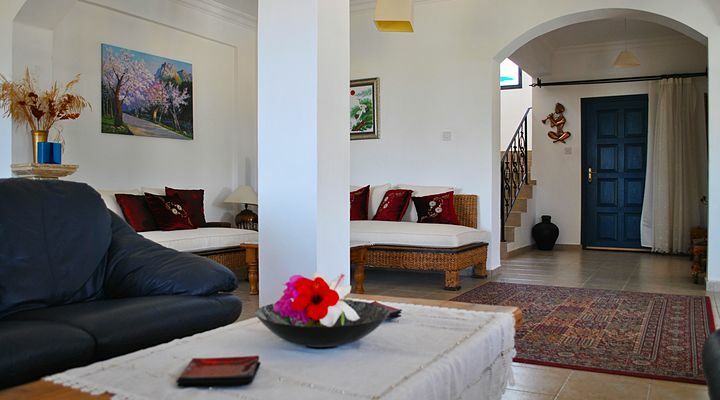 Lounge area is divided into few sitting zones and a dining area and is attached to a separate kitchen. 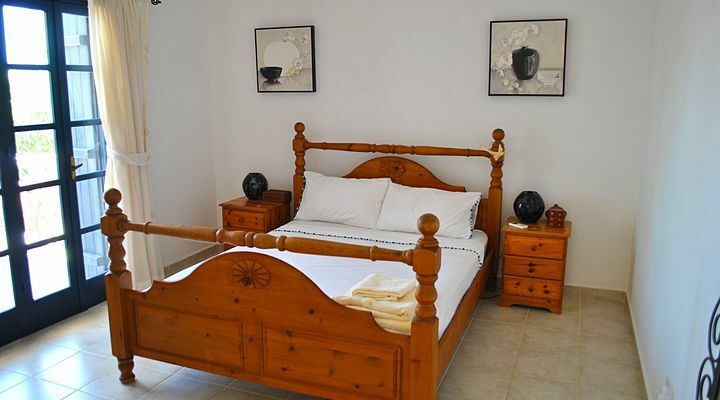 Lovely balconies can be found in the bedrooms offering fantastic panoramic views. 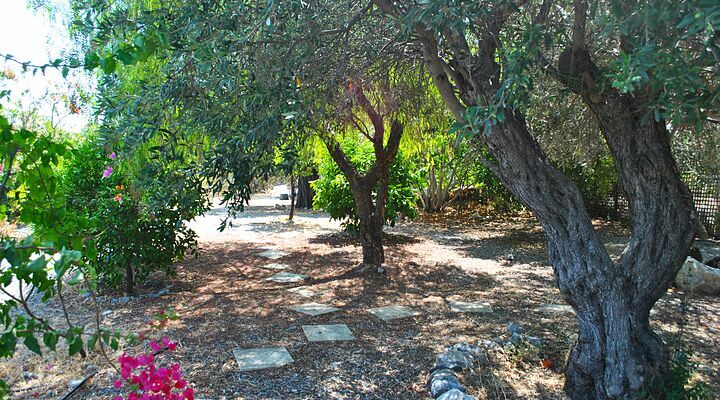 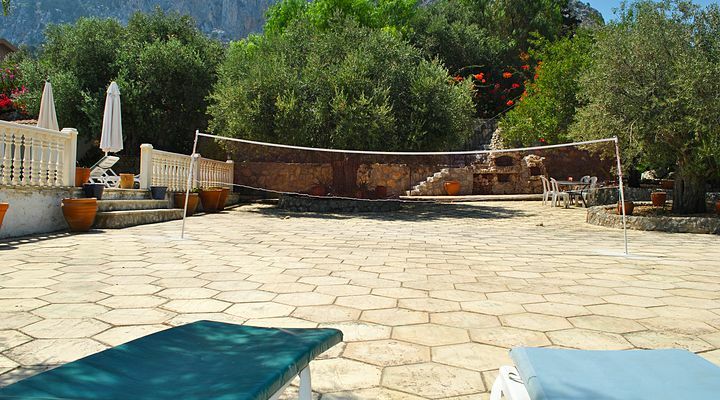 Villa Netta has private garden area and BBQ facilities and table tennis. 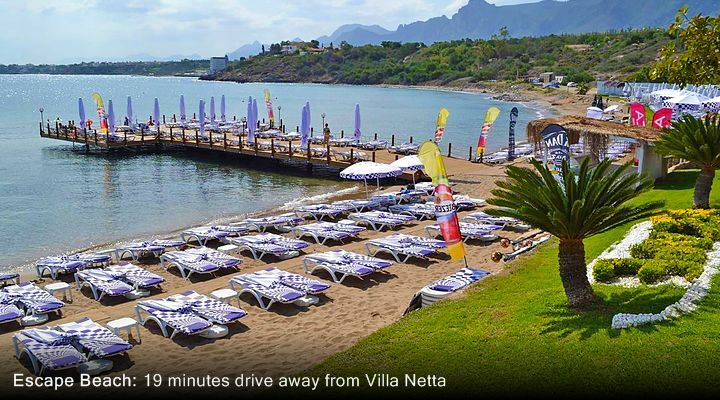 Netta is equipped with wireless Internet that is included into the price. 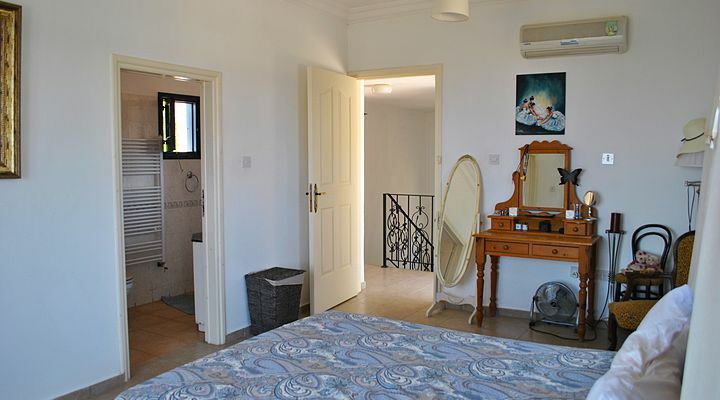 There are 2 bathrooms with overhead showers and 1 bath with a shower. 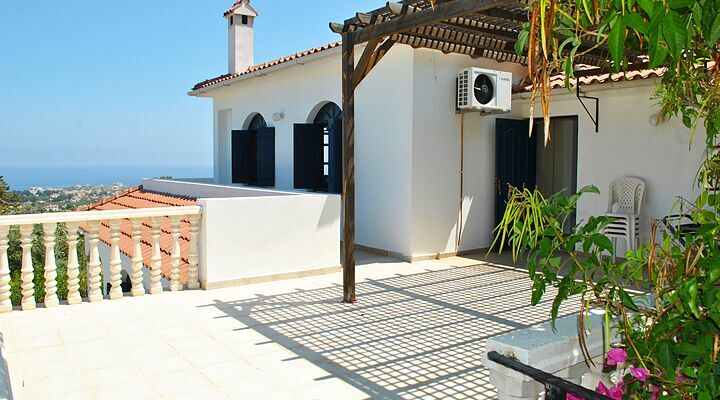 A security deposit of 200.00 British Pounds will be billed along with the total amount due for your holiday. 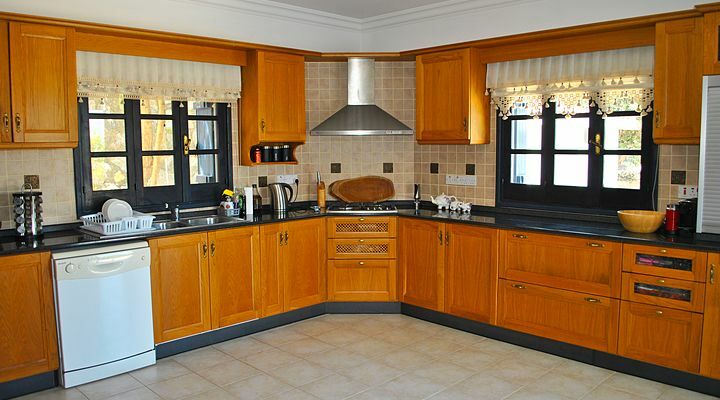 This will be held by us against the possibility of loss or damage to the property and contents, in excess of general wear and tear, and excessive use of utilities. 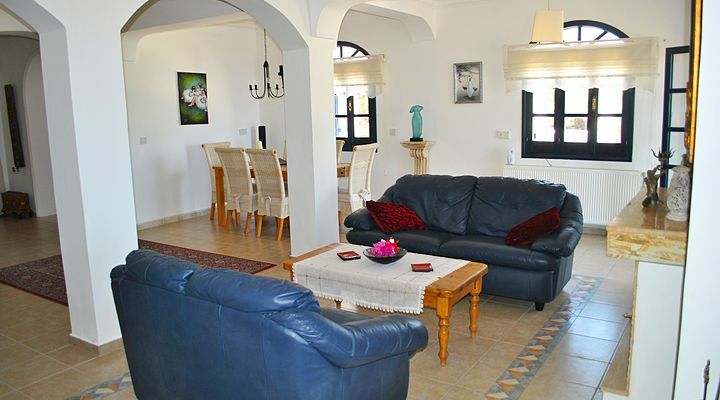 The security deposit will be fully refunded within 14 days of departure subject to a clear inspection. 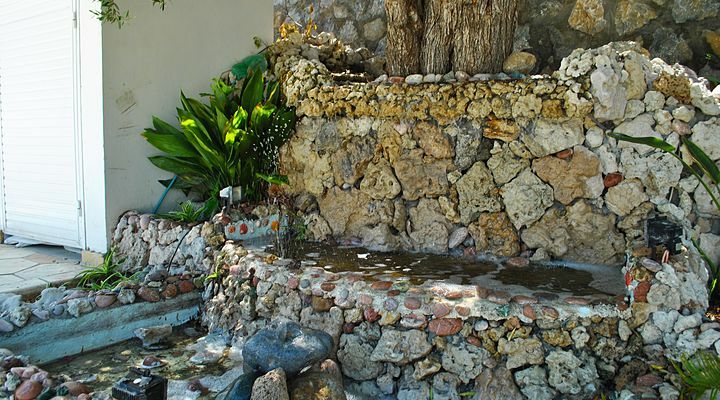 The security deposit is refunded in full in the event of any cancellations. 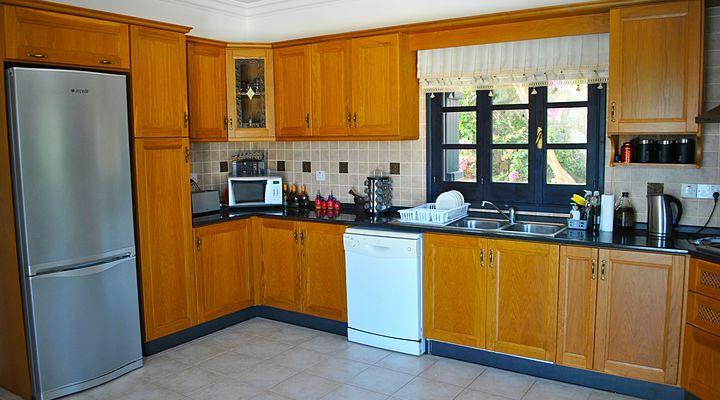 If you require baby equipment such as baby cot or high chair, this service can be provided with an additional cost. 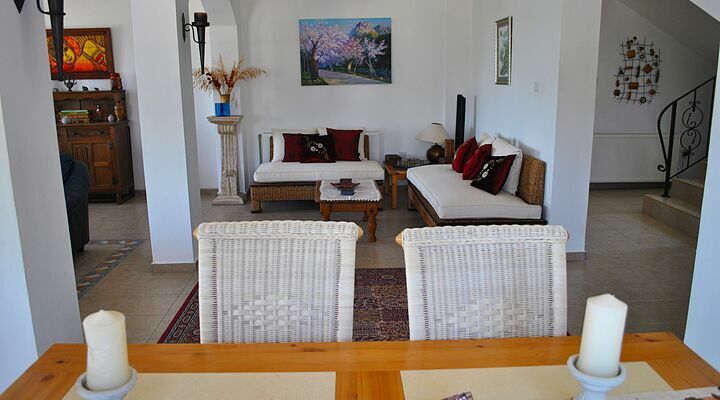 Please mention this once you book. 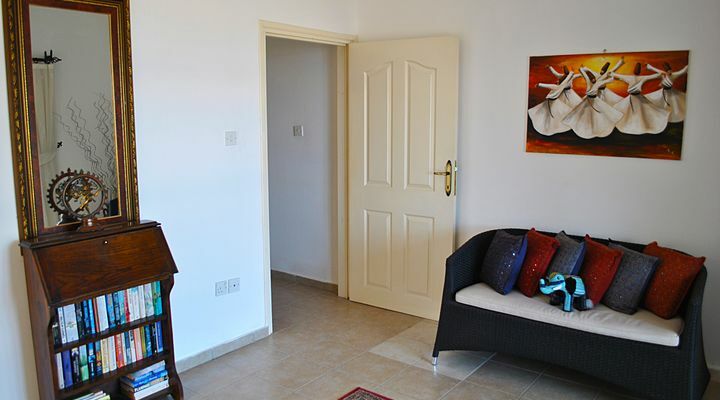 300 units of electricity are included in the weekly rental price. 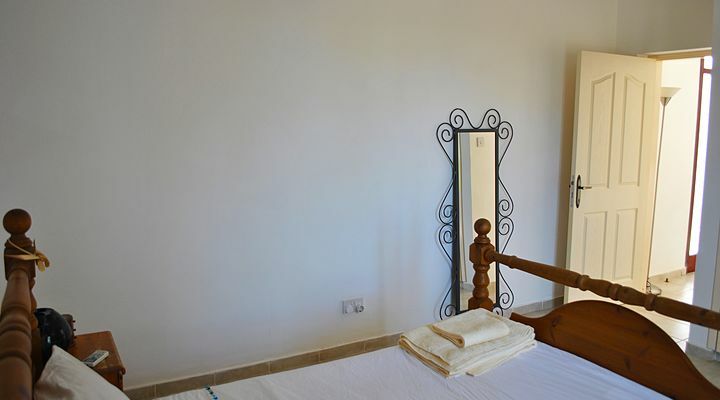 Any extra amount used during your stay will be recalculated using the current electricity authority price and held from the Security Deposit. 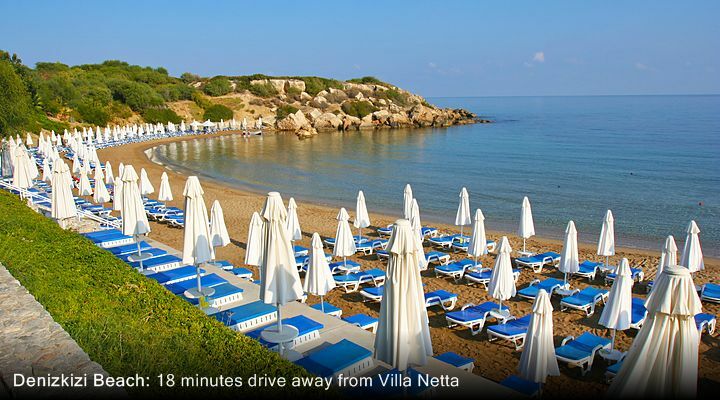 The location of the Villa Netta is a perfect holiday destination for tourists from UK and Europe. 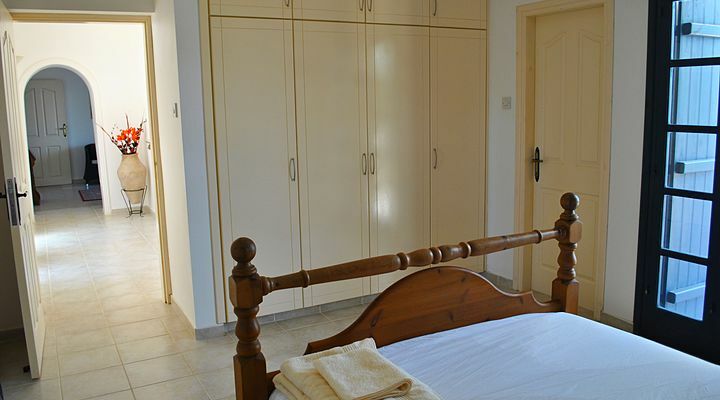 It is one of the most friendly villages in North Cyprus, so be sure you always find someone to chat to as you shop in the village market for essential supplies. 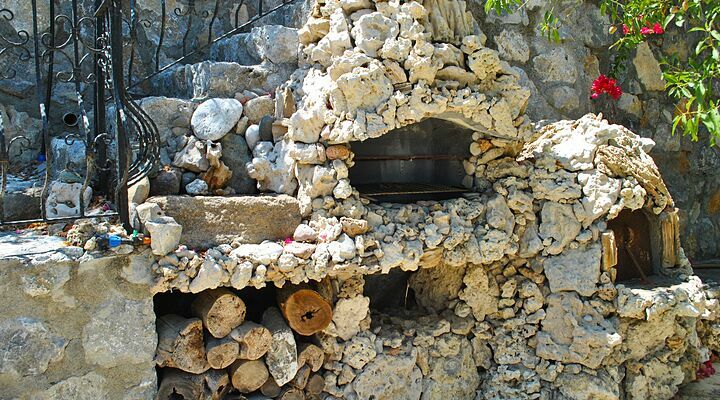 We strongly recommend trying you fresh village bread that is supplied to those markets on daily basis. 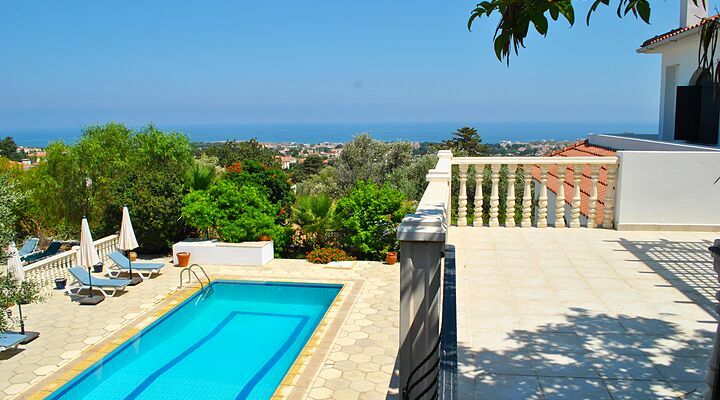 This Karsiyaka villa for rent is ideal if you want to explore North Cyprus in a self-catering accommodation!